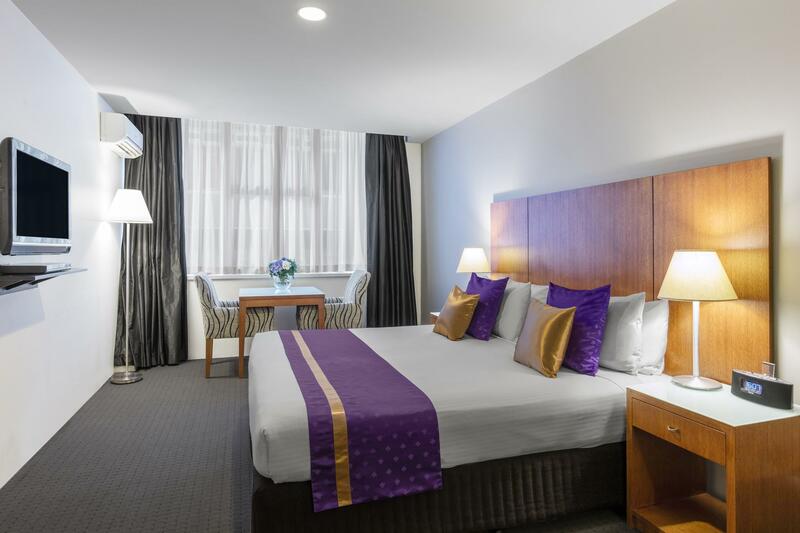 يقع في St. Kilda Road, Park Regis Griffin Suites Hotel إنه المكان الأنسب لاكتشاف ملبورن و ما يحيطها. يقع الفندق على بعد 5. Km من مركز المدينة، ويؤمن الوصول إلى أهم مراكز المدينة. سوف يعشق النزلاء موقع هذا الفندق، فهو قريب من أهم المعالم السياحية في المدينة كمثل القنصلية العامة لاندونيسيا, القنصلية العامة للولايات المتحدة الأمريكية, Consulate General of the Republic of Korea . 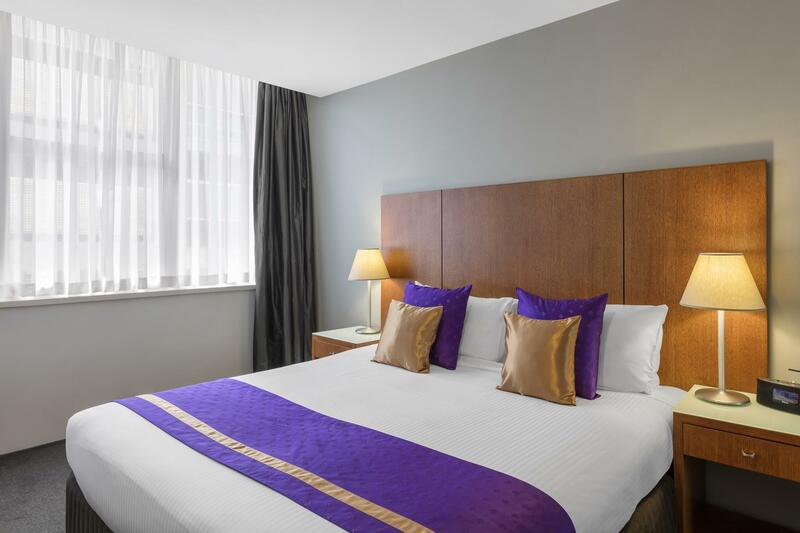 يعرف StayWell Hospitality Group بالمستوى الراقي لخدماته ولباقة موظفيه، وهذا ما ستجده في Park Regis Griffin Suites Hotel. هذه بعض الخدمات الموجودة في هذا الفندق: واي فاي مجاني في جميع الغرف, خدمة التنظيف يوميًا, خدمة غسيل ذاتية, خدمة سيارات الأجرة, مجهز لذوي الإحتياجات الخاصة. استمتع بوسائل الراحة الراقية في الغرف أثناء إقامتك هنا. بعض الغرف تتضمن تلفزيون بشاشة مسطحة, سجاد, بياضات, مرآة, صوفا لمساعدتك على استعادة طاقتك بعد يوم طويل. كما أن مجموعة الخدمات الواسعة الموجودة في الفندق لضمان راحتك تترك لك الكثير من الخيارات لقضاء وقتك أثناء فترة إقامتك. 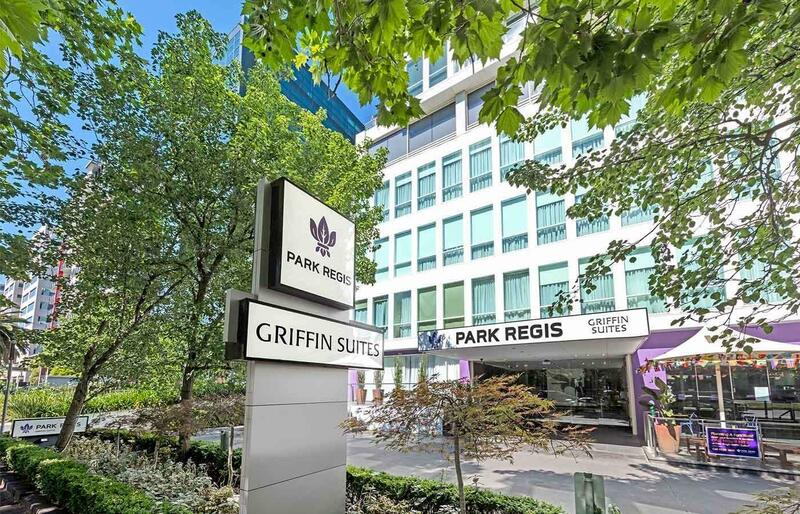 اكتشف مزيجاً ساحراً من الخدمة الاحترافية والخيارات الواسعة من وسائل الراحة والمتعة في Park Regis Griffin Suites Hotel. Got two rooms and it was beside each other so that is good. Hotel accommodated and allowed us to change the bed configuration. Only bad thing is internet provided was 7Gb for 7 days but at 3rd day, we aren't able to login even the next morning. When asked for another wifi passwords , the reception is stingy and made unnecessary remarks (Indian guy) on our 2nd last day stay. Pros: near trams, MAPrc, friendly staffs Cons: you have to take a tram to have dinner because there was not available restaurant around this area. No pick up service from day trip travel agency from this hotel. We booked a room with breakfast for 7 days. I stopped going down to have breakfast on the 6th and 7th day. The gentleman at the front desk was wonderful. He was incredibly knowledgeable and helpful for someone who was visiting Australia for the first time. The cafe left much to be desired... The room itself was incredibly spacious, however the limited wifi was something I wasnt prepared for (coming from a country where it is plentiful). 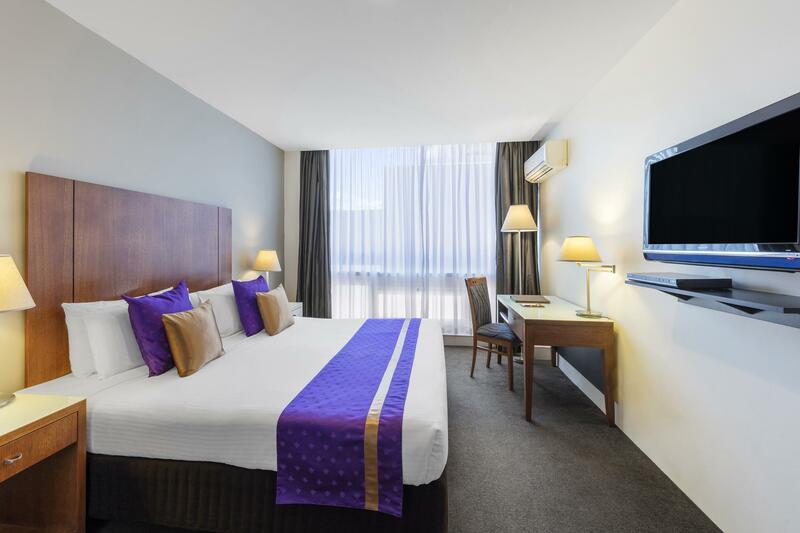 The room is very clean and the price is very affordable in st kilda area even though we just booked the hotel thru Agoda.com 1 day before the check in. Very helpful staff.only 50 meters to the nearest tram stop and peaceful environment at night. Will surely come back here. Security deposit was returned 5 days after check out. Not told we would have to pay security deposit. No communicationabout return of security deposit at all. Not a new building at all but it goes to show what they used to be like.. spacious rooms and wonderful service is a thing of the past these days. Glad to see some places still hold up to the old style values and have the hospitable staff that treat you as a guest should be treated. Great value for money. Really worth staying. 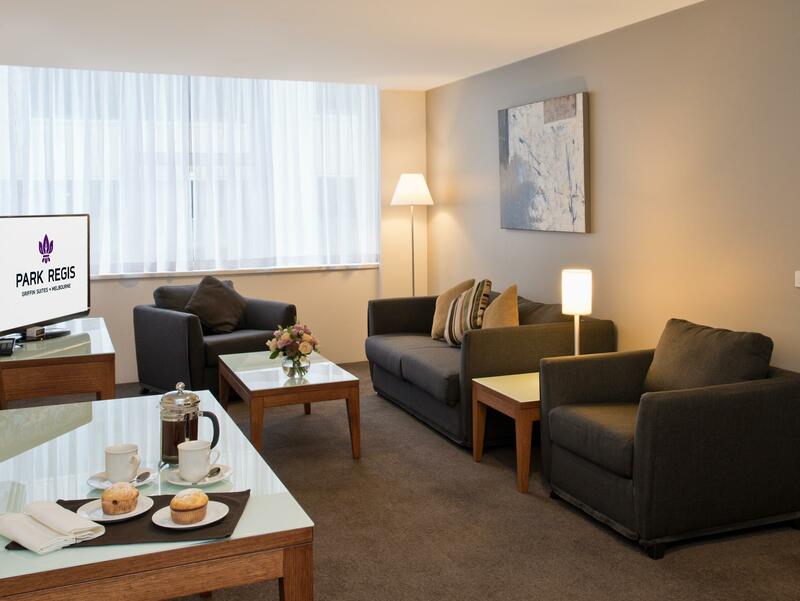 One tram trip from downtown, clean and large rooms, staff at the receptions is friendly and helpful. Kitchenware is not plenty for cooking but for making breakfast it is okay. I can recommend this hotel. Not the cheapest hotel but was clean and had a small kitchen space which was handy. 1 lift servicing the entire building which can be slow. And free internet is 500mb limit which runs out quickly. Decent location however on StKilda Rd with easy transport access. Clean room, quick hassle free check in, comfortable beds, quite rooms, kitchen with al cooking equipment, extra blankets, good air conditioning, helpful staff. The room are simple and tidy. Good hotel great value for money. Stay was fine. Hotel and room were clean. Staff were nice and helpful. One thing that really bothered me was checkout time was 10 am. Wow! That is early. When I requested a late checkout they allowed me to stay till 1130 am. Really I expect normal check out to be noon and a late if available with no charge to be 2 or 3 pm. They really need to revisit this policy. Excellent stay. I've stayed multiple times BUT they have a new policy taking $100 bond on check in and it takes 4 banking days to be returned they say. I expect to see it in my account this coming Monday, a full 6 days after the event. This is not good enough. Convenient hotel for a business meetings. 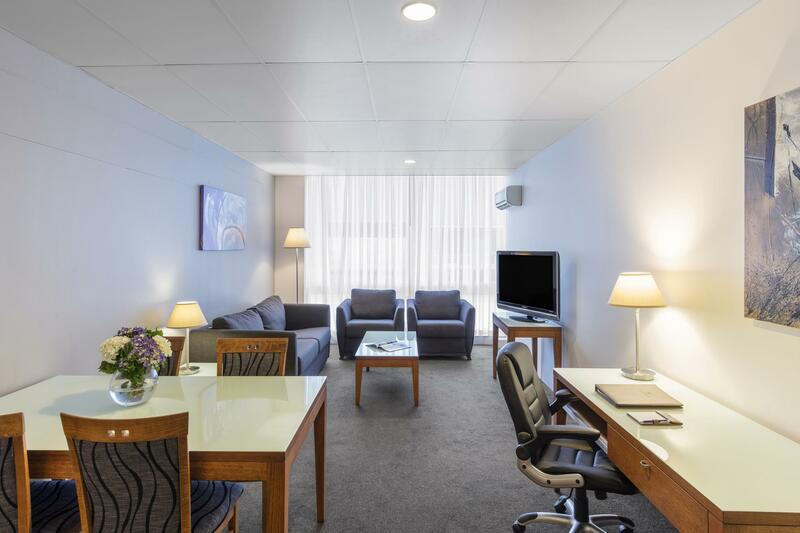 Rooms comfortable and large with small kitchenette. Can open windows for fresh air. Catering supplied by hotel was delicious. Coffee bar located downstairs very convenient. Hotel was located close to tram stop for quick trip to city. We just wanted a relaxing time after a hectic few months. The room was very comfortable. The service was great. The trams come every few minutes along St Kilda Rd so it is easy to get to the CBD. Very good value for money if you just want a mini break. Four of us stayed at the Park Regis. Myself, my husband, my daughter and her partner. There were 2 large double bedrooms and a very large, modern lounge and dining area. Good kitchen, but only one bathroom. It was a large bathroom, but with four people it would have been better if the toilet had been seperate. Everything was beautifully clean and in good order, with large, floor to ceiling windows that looked out over the front of the hotel - quite nice. I thought it was excellent value and a convenient location. Parking was easy to access beneath the hotel. Staff helpful and friendly. Lovely greeting from the staff on arrival. Unfortunately my room wasn't ready, but I did arrive before lunchtime. I had to go to a meeting, so on my arrival back at the hotel, my room was ready and my luggage had been put aside for me. 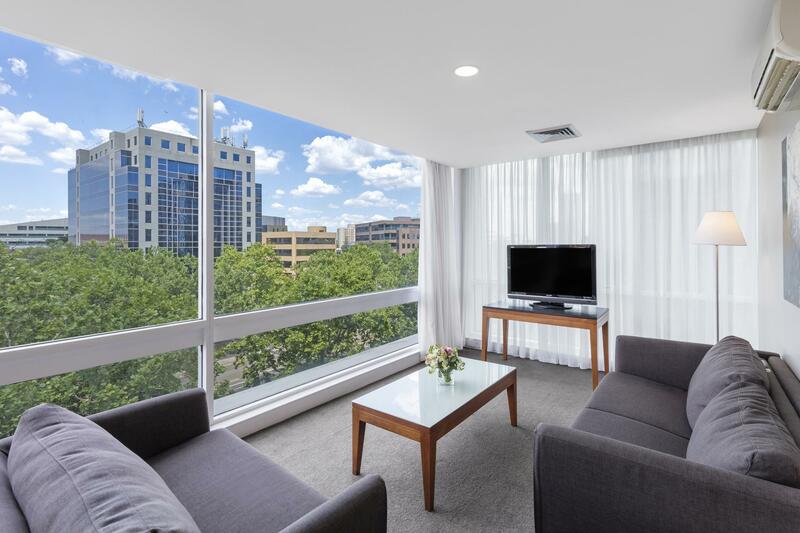 located in the fringe of the cbd, this one is quite convenient to travel, as well as more relaxed than in the cbd. beautiful park with lake provide great escape from busy work. easy catch tram to cbd and other places. however, not much dinning facility around. difficult to find place to have a reasonable freakfast in the weekend.